LOVE this picture. Reminds me of the scenes in the Angelina Jolie “Lara Croft Tomb Raider” movie. I believe that this is where it was filmed! Would love to go there one day, thanks for the beautiful visual! Yes, that is the temple. 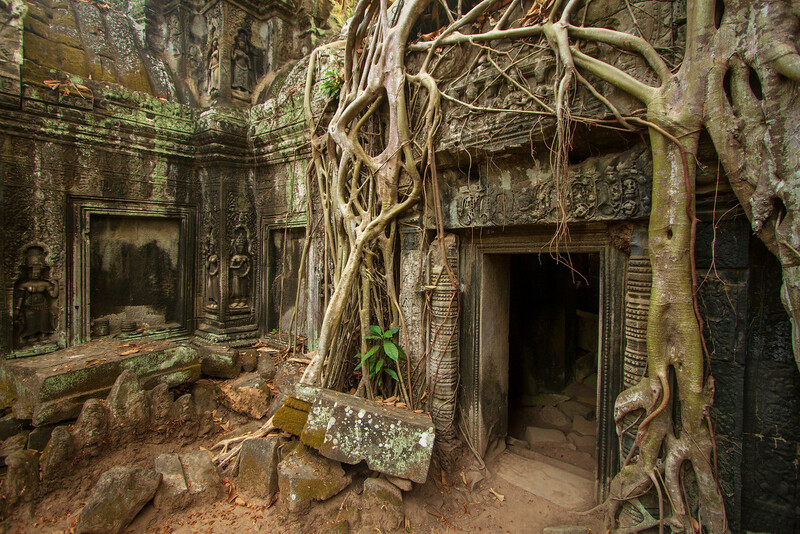 It is one of the more famous ones but you could spend weeks just exploring the temples of Angkor! We had the opportunity to visit Angkor Wat in January. It is an amazing site. We hadn’t quite realized the scope of the place. I wish we had had more time there. I was especially taken with Angkor Thom — the site with all the faces. Angkor Thom is actually my favorite temple of Angkor. There is a wall you can bicycle around the entire perimeter. There is practically no one else there. You should try it.